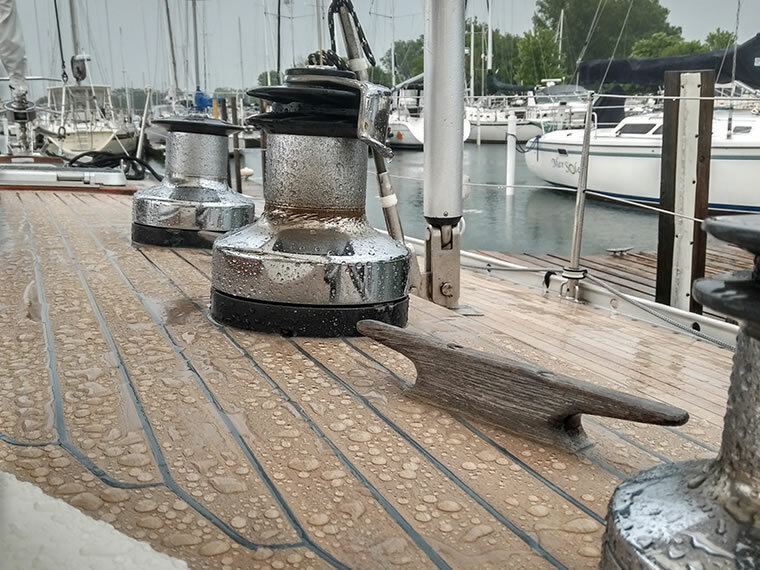 There is an indescribable feeling setting foot on a teak deck; maybe it’s knowing that sailors going back to Lord Nelson’s time conquered the seas on the same type of deck, or it simply might be the soft warmth you feel every time you step back on your yacht. Whatever the reasons, along with the beauty and history of teak, comes the practical cost and maintenance of teak. Maintenance for teak can be much easier with the right formula. Cleaners and other treatment products can create that sought after “bleached” deck appearance, but the frequent maintenance cycle and cleaning methods mean a teak deck is being worn down at a rate faster than regular wear. Now, you have a better option. Teak Life UV offers a formula that not only maintains the aesthetic appearance of teak available in 5 different tones, but also provides greater protection to teak; reducing maintenance cycles and indefinitely extending the life of a teak deck. Read about Teak Life UV Topcoat for maintenance.